If i want to get tiles laid on my kitchen floor how would i go about it? What I am getting at here is do I buy the tiles and adhesive myself then get a tiler to come in and lay the floor or will they get the materials I want for me? If I get the tiles myself will they know what adhesive to use? These may sound like silly questions but we are just about to exchange on our first home and we are clueless about anything remotely DIY related! There are no hard and fast rules here, some Tilers will charge a percentage for supplying the materials and some won't, often the tilers can buy at such a discount that they can add a handling charge and still be cheaper than you would pay if you purchased them yourself. 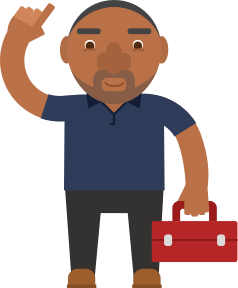 Invite several companies to quote, request a full breakdown of all costs, ie tiles, adhesive, grout, tlie edge (if needed) and compare them. Remember to ask for the broken down price in writing and a reference from a recent customer. buy the tiles yourself,let the tiler supply the adhesive & grout always allow 10% extra tiles for wastage, use a supplier that will allow you to return any unused tiles. Hello. The usual way is to let the tiler supply the adhesive and grout for fixing the tiles. as he will know which is the best one to get the type of tile you supply and location for where they are to be fixed, plus he will probably have a preference of which manufacturer of adhesive he prefers to use. Hope this helps. If you are employing a Tiler! They will of course know the correct adhesive to use and if i was you i would shop around for the tile you want,then buy and ask him to buy the adhesive maybe. I say choose your own tile as im sure you want to make sure you get the exact type/colour or pattern and im pretty sure he wont want to shop about for your tiles. Post a job on MyBuilder to find quality, local Carpet & Flooring Fitters who can help you with your project. Is my Tiler making my life difficult on purpose? Do i need to get rid of the original paint on my living room door if i want to varnish it?